The Orquesta Buena Vista Social Club® will be performing a serie of show in 2018 to celebrate music. 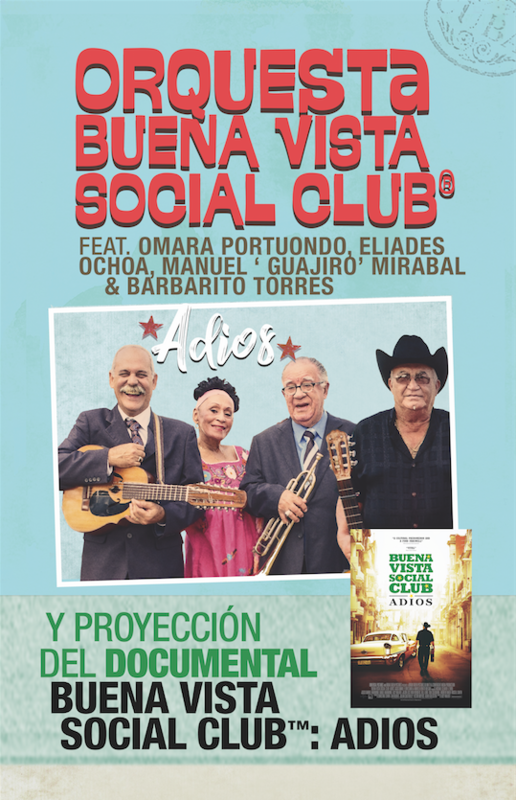 Along with Omara Portuondo, Eliades Ochoa, Barbarito Torres and Guajiro Mirabal, the concert will show the latest documentary Buena Vista Social Club: Adios. The band announced the Latin American tour for 2018 on Facebook and shortly the will announce all tour dates and countries.